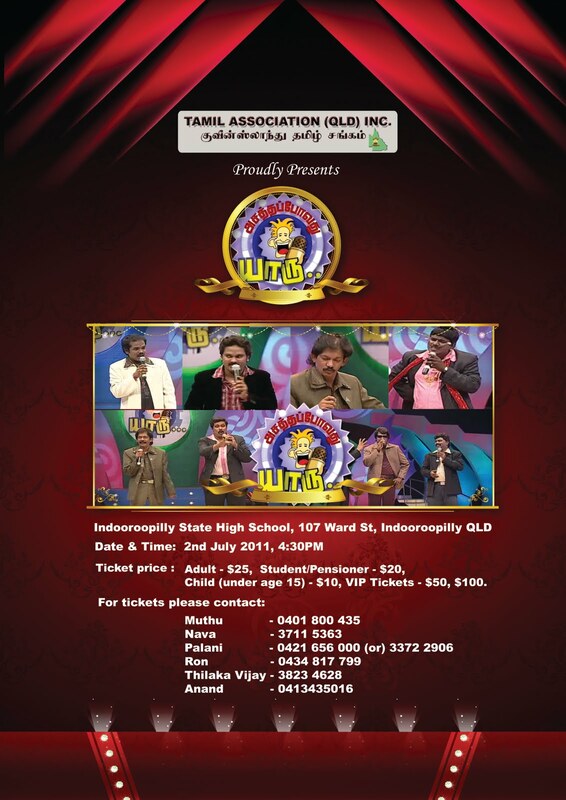 This is a great and exciting opportunity for all of us to enjoy grand live Asatha Povathu Yaru (அசத்தப்போவது யாரு...) program in Brisbane. Please contact us to book your tickets and don't forget to block your calendars. For those who don't know much about ASATHA POVATHU YARU PROGRAM please visit http://asathapovadhuyaaru.com/ or contact us for more information. Event details are as follows..